In the almost 12 years since Dan Snyder bought the Washington Redskins there has been more off-field drama than on-the field success. During Snyder's tenure, the team has had only three winning seasons and made just three trips to the playoffs. Snyder believes things have changed under head coach Mike Shanahan and general manager Bruce Allen, but issues remain -- like what to do with Donovan McNabb and Albert Haynesworth and the Washington City Paper lawsuit. What’s Snyder most proud of he's most proud of during his tenure as Redskins owner? Snyder said he's happy to leave the football decisions up to Allen and Shanahan. He'd make different hires. Who is he talking about? 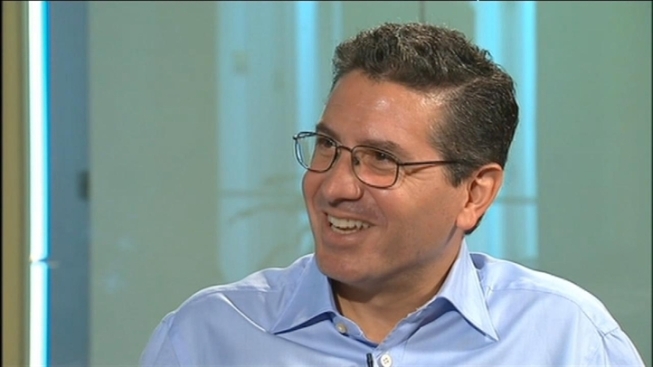 How important is it to Dan Snyder to be liked?